Proverbs 11:1 "11:1 A false balance is an abomination to the Lord, but a just weight is his delight." 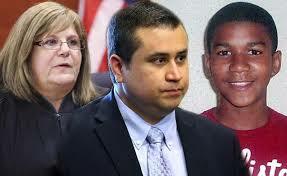 God is sovereign and the verdict is in- Zimmerman was found not guilty. We can rest in the truth that God's justice is not corrupted like man's justice and if truly indeed Zimmerman killed Trayvon Martin not in self defense he will bear the consequence of his sin here on earth and eternally. - Romans 6:23 & Numbers 32:23. Zimmerman needs to repent and believe the gospel. My condolences to the Martin Family. Secondly, everyone that is passing condemnation on Zimmerman, remember like Zimmerman you deserve judgment and condemnation too which is hell-eternal separation from God for your sin. Most of you expected justice but you support the killing of babies in the way of abortion and the twisting of God's established institution of marriage supporting gay marriage. Those are abominations in God's eyes. - Romans 1, Proverbs 6. Everybody deserves God's fair justice for sinning against him but God satisfied that justice by punishing the only innocent person to walk this earth- Jesus Christ because God is holy. By virtue of Christ and his work on the cross, God can show us grace and mercy. Nobody that deserves justice wants justice , they want grace and mercy.